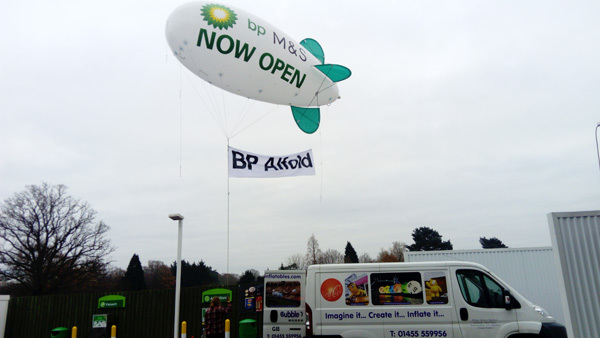 Imagine Inflatables have supplied a blimp for flight at a number of new BP petrol stations that now operate in conjunction with Marks & Spencer. 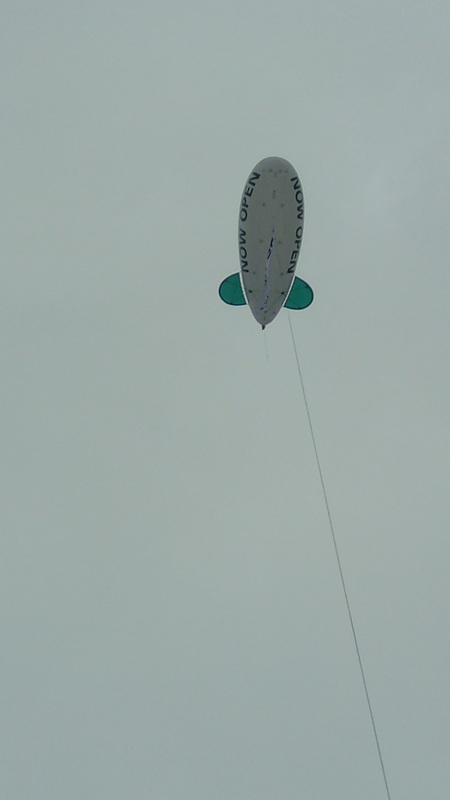 The most recent promotion was in Alford, Hampshire this weekend. It proved highly effective at drawing customers into the refurbished store from miles around.